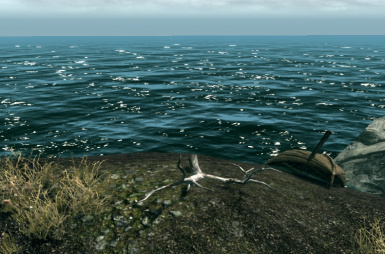 Adds a total of 15 sunken treasure chests and an underwater Dwemer ruin along the coast of the Sea of Ghosts, as well as 36 treasure chests to assorted rivers and lakes around Skyrim, for intrepid adventurers to find. 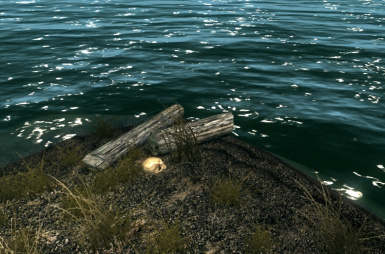 This mod adds a total of 15 sunken treasure chests and an underwater Dwemer ruin along the coast of the Sea of Ghosts, as well as 36 treasure chests to assorted rivers and lakes around Skyrim, for intrepid adventurers to find. Cleaned with TESEDIT, script-free, and requires no DLC. Hidden riches under the cold waters of Skyrim, obviously! There aren't very obvious clues to where the chests are, but they are there. An abandoned ship wheel? Some weathered crates half-dug into the sand? Maybe it's just some loose pieces of wood on the beach. Are you feeling lucky? Give it a shot - grab some waterbreathing gear (or just kick off your shoes if you're an Argonian) and take a look around! You may be surprised at what you find. 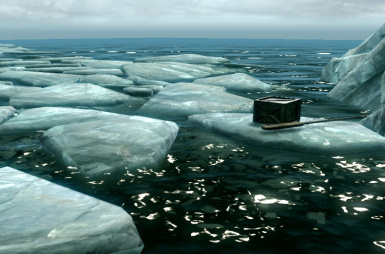 I wasn't sure of where the limits of the map would be, so the chests in the sea aren't horrendously far from the shore, but I tried to make them at least tricky to spot. They have very generous loot, including enchanted equipment, jewelry, and other items. The average base value is around 800 - 900 septims per chest, so that's quite the treasure! 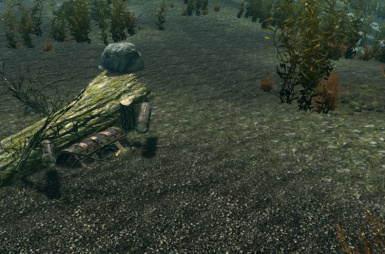 The landlocked chests, on the other hand, have slightly lesser loot, going for around 500-700 septims. All the chests are locked. Since the locks are leveled, if you don't have much skill in lockpicking, be sure to bring plenty of lockpicks with you! 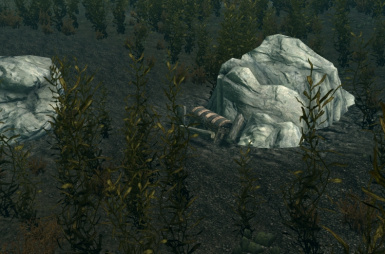 As for the Dwemer ruin, it is very far off from the coast, so you've been warned. There's a map marker for it, so that should help things a bit. Check out this album for the location of the sunken Dwemer ruin if you absolutely cannot find it. Also, for some added realism, I wrote several notes for the sea chests that give some insight regarding how they ended up sunk in the bottom of the ocean. There is a total of 25, so hopefully they won't repeat too often. I can write more, if needed. The landlocked chests have no notes on them. Unfortunately, since I wanted to make this challenging even to myself, I purposefully tried not to keep track of where the chests are, so I'm afraid I can't provide a specific list of locations. (The screenshots were taken straight from the Creation Kit). I think it makes the whole thing more exciting. The chests respawn, so make sure to check them every once in a while. I made this mod for fun, and since there isn't much to do around the northern shores, I would like to share it. To install, extract the contents of your downloaded file to your "Steam/SteamApps/Common/Skyrim/Data" folder. Then activate the mod through your preferred launcher by ticking the checkbox next to the esp. Or you can use the Mod Manager to download the mod automatically. To uninstall, simply delete the files from your Data folder, and you're good to go. Have fun!